The IHREC wants strong powers for the commission of investigation. 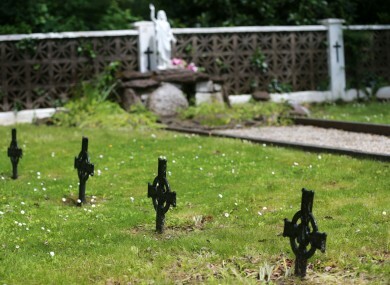 AN IRISH HUMAN rights watchdog says that new laws may be needed to give the Commission of Investigation into mother-and-baby homes the powers it needs. In a submission to the department, the Irish Human Rights and Equality Commission (IHREC) says that it feels the Commission of Investigation Act 2004 may need to be amended so that the investigation can find out if the State breached its human rights obligations in relation to the homes. The IHREC has made a number of other recommendations including that victims should be allowed to give evidence in public if they so wish. They also recommend that the terms of reference of the inquiry should include all mother-and-baby homes, including Bethany Home, and any similar institutions which may include psychiatric hospitals or Magdelene Laundries if required in certain cases. “In establishing the Commission of Investigation, it is essential that the State ensures that a human rights and equality framework be applied,” says acting chair of the IHREC Betty Purcell. The commission goes on to say that where human rights violations are established, it must lead to “effective remedies including redress for victims”. Criminal prosecutions where warranted, remedies for individuals whose human rights were violated and a right to truth and apology to ensure guarantees of non-repetition. The cross-departmental review committee tasked with examining the issue will report to the government before the end of this month. Anyone who wishes to make a submission ahead of the establishment of the inquiry should contact motherandbabyhomes@dcya.gov.ie. Email “Victims of mother-and-baby homes should give evidence in public if they want to - Human rights group”. Feedback on “Victims of mother-and-baby homes should give evidence in public if they want to - Human rights group”.